Edward Snowden's leaks last year questioned the integrity of several big and reputed companies such as Apple, Google and Microsoft that were found in relation with the NSA in its surveillance programs. Thereafter they maintained distance with the Agency and claimed to be unaware of such government spying activities. 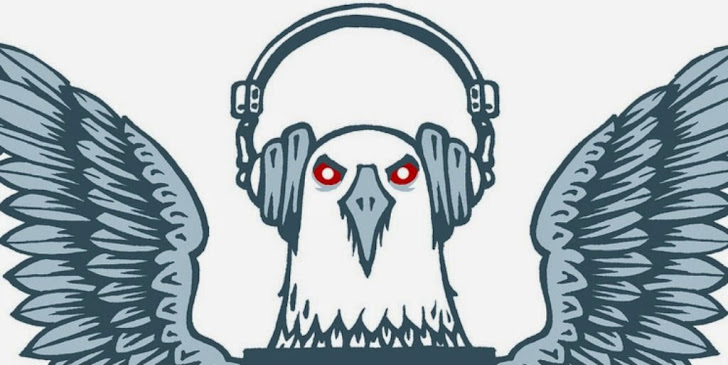 Now, email exchanges between Google executives Sergey Brin and Eric Schmidt and former NSA director Gen. Keith Alexander, obtained through the Freedom of Information Act that in real do not reveal anything ridiculously outrageous but suggest that the tech companies behind the services you use are very closely in relationship with the NSA and have worked with them over the years. The series of emails obtained by Al Jazeera clearly indicate that the relationship between Google and the National Security Agency (NSA) was far cozier than anyone thought. This revelation questions not only the reputation of the largest Internet giant, but also the privacy and security of every individual. Al Jazeera obtained two sets of email exchanges, one between NSA Gen. Alexander and Google chairman Eric Schmidt, and the other between Gen. Alexander and Google co-founder Sergey Brin. The emails show the extent to which Google didn't just cooperate with the NSA, but also kept a familiar and friendly relationship with the government agency. The 2012 emails between (then) NSA Director Gen. Keith Alexander and Google executives Sergey Brin and Eric Schmidt show that Google was working closely with the NSA, before Edward Snowden revealed the capabilities of U.S Government Agencies for spying on users' online activities. On one hand, Google claims to have dealt interaction with the NSA in formal way, and on the other hand, the emails suggest the opposite and show the Google being invited to the sessions hosted by the security agency NSA in a very unofficial tone. 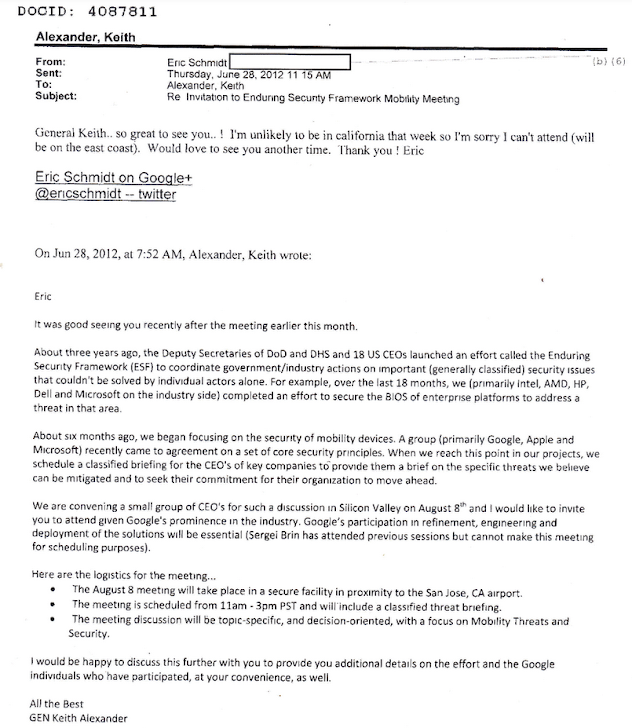 On June 28, 2012, Alexander invited Schmidt to attend a “classified threat briefing” on Aug. 8 at a “secure facility in proximity to the San Jose, CA airport” via an email. “The meeting discussion will be topic-specific, and decision-oriented, with a focus on Mobility Threats and Security,” Alexander wrote in the email. Reportedly, additional emails between Google execs and the NSA have yet to be released, so stay tuned.